The Egyptian antiquities ministry on Tuesday asked the foreign ministry to take all legal measures necessary to stop the sale of 23 ancient Egyptian objects on display at Sotheby's auction hall in the United States. 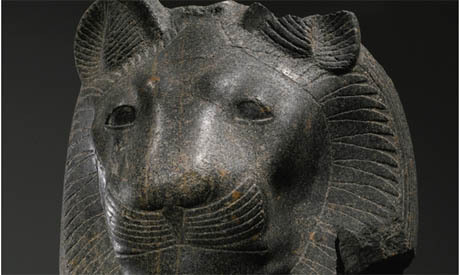 The antiquities ministry has reported the case to Interpol and asked the organisation to carry out comprehensive investigations to verify how the objects left Egypt. It has also asked Sotheby's to prove its ownership of the objects. If Sotheby's fail to prove ownership and show the correct export certificates, the ministry would take steps to get the artefacts returned to Egypt, said Antiquities Minister Mohamed Ibrahim. Ahmed Ali, head of the Restitution of Antiquities Department at the ministry, told Ahram Online that the collection in question includes marble statues of deities and kings, limestone statue heads and clay pottery. The objects are from different periods.